Click on any question listed below to see the answer. Send us an email, click here, and we’ll do our best to help out! Currently we don’t offer a run/race where dogs are allowed. Think safety for others running, tripping on the leash, insurance, etc. Are dogs allowed at the race venue? Yes and no. It depends on the “dog” rules at the venue. For example the California State Park venues…no dogs. So shoot us an email ahead of time to make sure its OK. Yes, walkers are welcomed at each of races except for the marathon distance. 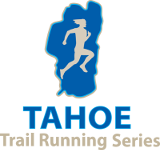 Is there an age minimum to compete in the Trail Running Races? There is no age minimum. However, if under 18 then a parent or guardian need be present to sign the wavier. How often are water stops supplied? This depends on the race. But in general, we have water stops every couple of miles. How should I prepare for racing at elevation? Age groups are in 5 year increments, by gender (0-14, 15-19, 20-24, etc.). Age is determined by the runners age on 12/31 of the race year. What is the cut off time for the trail running races? There is no cut off time. You can walk the race if you’d prefer, whatever you’d like to do to have your own Big Blue Adventure. Please inform us ahead of time if you are going to walk the event, it will help us keep track of you. What is the terrain like for each of the trail runs? Map and terrain information can be found on each of the trail runs respective web pages under the maps and venue links.